48 pupils and 4 members of staff travelled to Manchester on Tuesday 6th December to watch the Celtic v Manchester City Champions League fixture at the Etihad Stadium. We arrived an hour before kick- off; pupils and staff soaked up the atmosphere by listening to bands that were playing and buying souvenirs in the superstore. We were seated in the Colin Bell stand, brilliant seats which gave a full view of the Etihad. The game, which finished 1-1, was evenly matched with both teams having chances. After having breakfast on Wednesday morning we filed onto the bus which took us to Old Trafford, home of Manchester United FC. We were given a chance to wander round the museum where we learned about the history of the club and then we were given a guided tour of the stadium, including the Alex Ferguson stand, the press room, changing rooms, players’ tunnel and the dugout. Both pupils and staff thoroughly enjoyed the whole experience and the pupils, as always, were a credit to Our Lady’s High School. Our Lady’s High School is planning an overnight trip on Tuesday 6th December to watch the Manchester City vs Celtic Champions League fixture and visit Old Trafford for a Stadium Tour. The trip will be open to second to sixth year pupils. The cost will be £160. Please note this is a school excursion and football strips may not be worn throughout the whole trip. The tickets are in the Colin Bell Stand which is where the Manchester City fans will be seated. The charity Champions League is under way with pupils from 4th to 6th year, and a few brave teachers, taking part in a 6 a side football competition. Matches will be played from now until spring break and beyond with the eventual winners being crowned in late April. Good luck to all players involved. Congratulations to the “Roma” team who not only put out the staff team (Bayern Munich) in the semi-final (2:0! 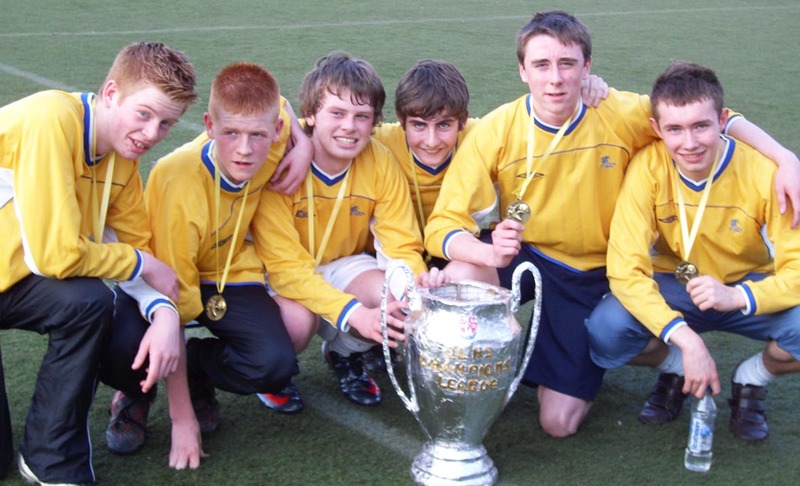 ), but also defeated “Chelsea” in the final of the Our Lady’s Champions’ League, eventually winning on penalties 5:4. Chelsea had already beaten Inter Milan 4:0 to reach the final. The staff team felt better after trouncing poor old Inter 7:1 to come third. All funds raised from the competition have been donated to the Rome Pilgrimage fund. And finally, many thanks to the staff for organising the competition, especially Mr Knighton, and thanks also to Mr Harkess for creating the outstanding trophy. The semi-finals and finals of the Champions League will take place next week. Bayern Munich will play Roma, while Chelsea take on Inter Milan. Both matches will take place on 19th March on the astroturf at Firpark. Kick off is at 4 pm. The final and 3rd place play off will kick off at 4.30pm. The Champions League for Upper School pupils and staff is now well under way. There are ten teams of six in two divisions, with each team taking a well known name. Paul Byrne of Chelsea, is the current top scorer across both divisions, with 7 goals from three games, helping his team, to top Division 2. He is closely followed by Daniel Kennedy (5), Andrew Dunn (4) and Kieran Kennedy (4) also of Chelsea. In Division 2, the top scorers come from leaders, Manchester United, being Luke Mulholland (4) and John Robertson (3). The next games will be held on 6th March, with Chelsea v Roma on pitch 1, and Juventus v Barcelona on pitch 2. Why not go and cheer them on.